This is one of the books that started that itch in my brain about making things from scratch. It has many recipes and beautiful photos of different artisanal foods (ice creams, syrups, even making cones!) If you enjoy the idea of artisanal food, this is definitely a resource to check out. In milk shakes, smoothies, or out of the pint. You can take it alone, with flavored syrup, nuts, sprinkles, fruits, candy bars or cookie crumbles. On top of pies, brownies, cake, crepes, or waffles. In between two cookies or biscuits for an ice cream sandwich. 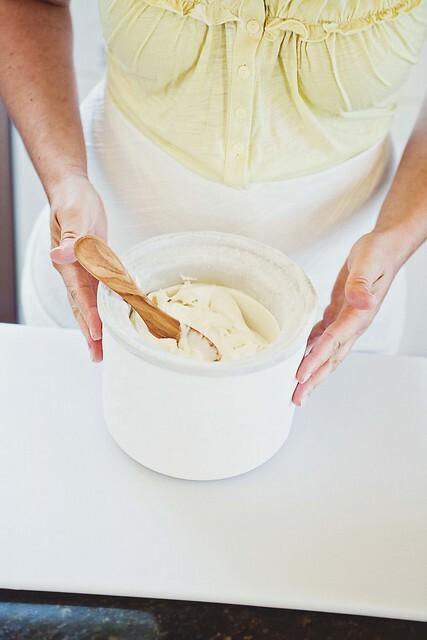 A comparative review the best artisanal ice cream cook books out there. This is the nutrition data for every 1oo grams of Jeni’s base recipe. Right now it’s a good source of amino acids but high in sugar. Remeber that this is for the base ice cream with no flavor added to it yet. You can bolster its nutrition level by adding fresh nutrition dense food to it (like fruits, nuts, superfood seeds, etc). Remember that we are talking about ice cream and making it at home gives you far more control about the calorie and ingredient content. Jeni’s Splendid Ice creams is one of my favorite cook books, she goes very in depth into making everythihng that goes with the ice cream.. You can learn more about her in this Masters Series interview with Food and Wine.